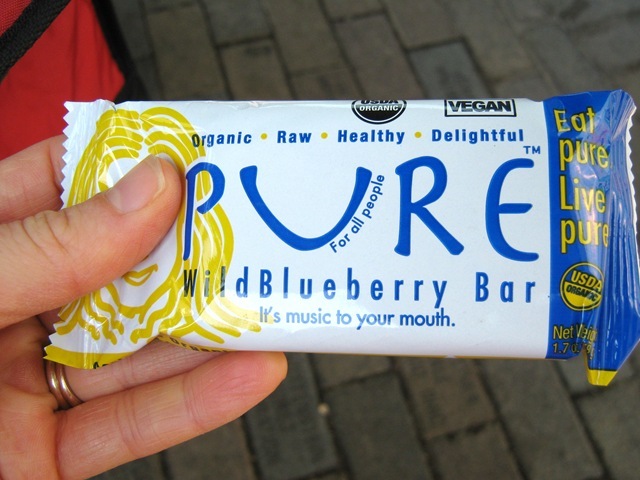 The other day I mentioned that I had ordered some Pure Bars. 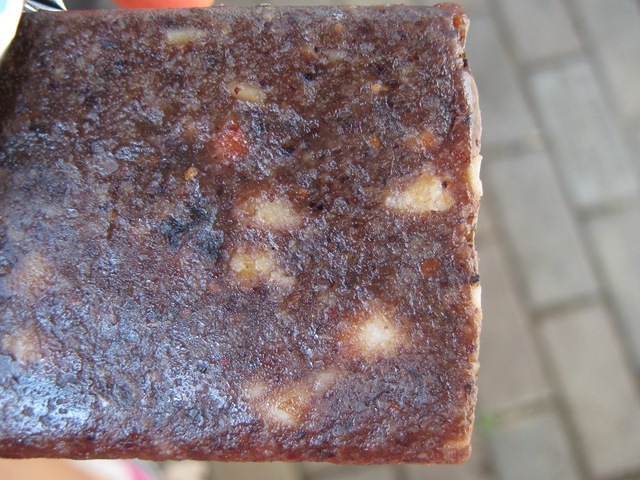 I reviewed Pure Bars a while back. You can read my review here and here. I received my variety pack order of Pure Bars yesterday! I was so excited!! I took one along with us to the Zoo today in case I was hungry. Well, guess what? I was hungry! Training for a half marathon will do that to you!! Today I sampled the Wild Blueberry Bar. Onto my next new yummy find!! 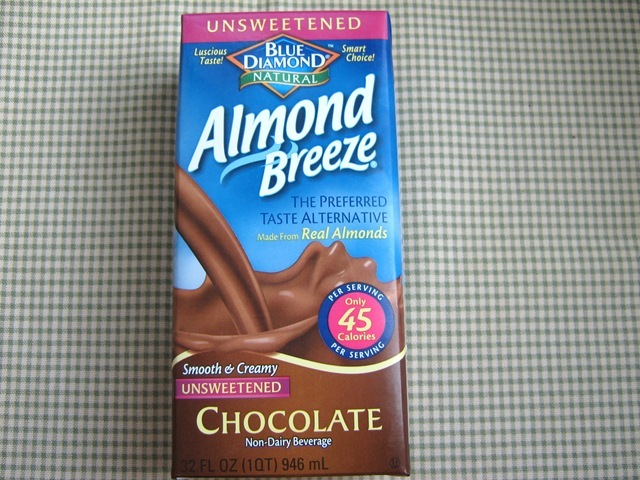 Blue Diamond Unsweetened Chocolate Almond Breeze! I usually drink the Unsweetened Vanilla, but once I spotted the Chocolate, I knew I had to give it a try. Oh.My.WOW. Tastes like chocolate milk! This stuff is so good! If you like almond milk, or heck, even if you don’t, try this stuff! 45 calories/cup, too, BONUS! I have been using this in my coffee & will try in my cereal this afternoon. Today is the last day to enter my Nature’s Path giveaway. You have until midnight tonight (August 12th). Do you Tweet/Twitter? If so, make sure to follow me!